There comes a time in every archers career that they are going to ask themselves the question, “Do I need new strings and cables?” Well, if you have to ask yourself that question, chances are that you do indeed need a new bowstring and cable(s). After the many shots that we take with our bows at the range and in the field, our strings and cables begin to show wear. If a string is not properly waxed, its dry fibers will start to break. 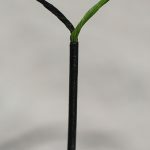 Even when the string is waxed, it can also become damaged from basic use, installation of accessories, and the accidental contact with anything sharp. What options do we have for string and cable(s) replacement? There are many companies to choose from. Like with any product in the marketplace, all strings and cables are not created equal. Some show more attention to detail and better craftsmanship while others look like they were rushed out the door. 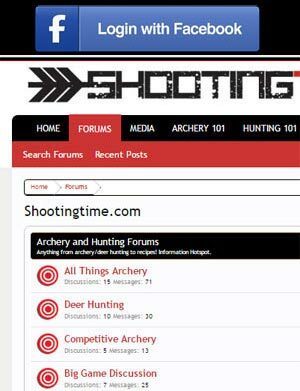 In this review, we will be taking a look at bowstrings and cable(s) from BowDoc Archery. 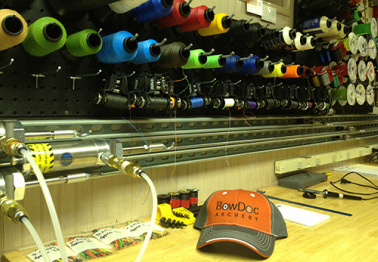 BowDoc is owned and operated by Jeff Sanchez in Mokena, Illinois. 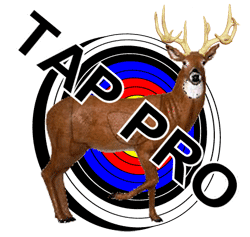 Jeff and his staff have over 30 years of experience in archery and the making of custom strings and cables. BowDoc offers a wide variety of colors and can make strings for any bow, compound, recurve, or longbow. The choices in string are: BCY X, 8190 or 452X material. Serving choices are 62XS or BCY PowerGrip center serving. For end servings, BowDoc offers BCY Halo or 3D end servings. BowDoc’s string and cable prices are very competitive. The strings we ordered arrive very quickly and look of a quality build. We pulled out the tape measure and checked BowDoc’s work; the lengths were spot on. All the servings were tight and reflected that they were made with skill. Here are some pictures of the strings, cables and servings. The yoke was also done exactly to our requested measurements. With these strings, you don’t have to worry about the string loops not seating properly on posts. This micro serving on the string ends are second to none. Overall, we are impressed with the strings we received from BowDoc Archery. After an examination of BowDoc’s strings and cables, you can tell they come from not only a state of the art manufacturing facility, but from a set of very skilled hands too. We will update this review in the future as we use BowDoc’s custom strings and cables more, but for now we give BowDoc Archery custom strings a solid 9 out of 10 rating. 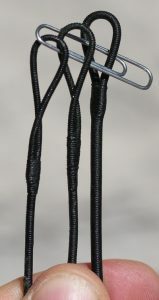 For more info on BowDoc strings and cables, visit their website at http://www.bowdoc.com/.